Golden Bay, song (In nineteen hundred and twelve, my boys for Golden Bay set sail …) Composed by brothers Henry Nash (Sr) and Bernard Nash who fished together in Golden Bay, this song describes a whaling expedition that left Branch in 1912. The crew caught a whale, but it rotted before they could sell it for the thirty pounds in gold that they expected to receive. Henry Nash (Sr) was the father-in-law of Anthony Power, who performs the song here. Aidan O’Hara describes some of the people from the Cape Shore who feature in his recordings, including Albert Roche, Frankie Nash, Anthony Power, and Caroline Brennan. He discusses the different types of songs that he heard on the Cape Shore and the sources of those songs, including radio and time spent overseas during the First World War. This conversation is excerpted from a longer interview that focused on Aidan’s years in Newfoundland, work as a broadcaster in Newfoundland, and relationship to the Cape Shore. Aidan O’Hara describes a “time” and other occasions for recording songs, music, and stories. This conversation is excerpted from a longer interview that focused on Aidan’s years in Newfoundland, work as a broadcaster in Newfoundland, and relationship to the Cape Shore. Henry Power (son of Anthony and Mary Power) dancing "a few scuffs" in the Roche household. The Roche family and friends look on (left to right): Keith Roche, Paula Manore (née Roche), Mary Jean Lyth (née Roche), Dermot Roche, Petchie Nash, Jerry Power (Henry's brother). 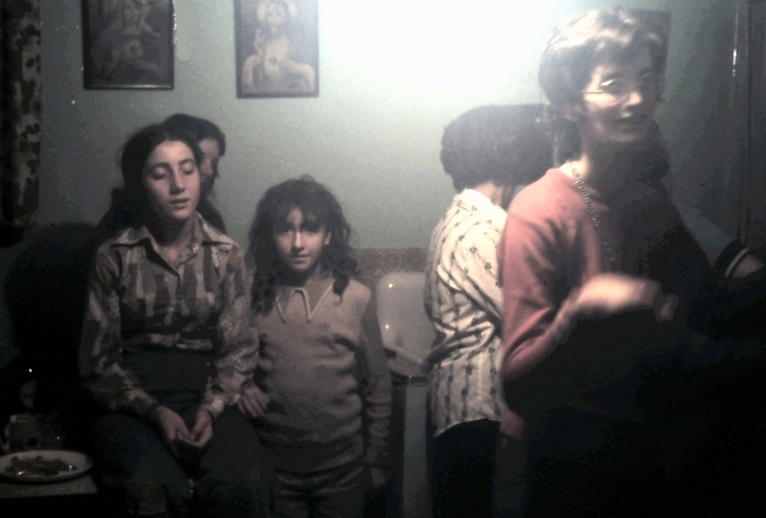 Three girls sit in the background of the photo (left to right): Karen Sarro (née Roche), Michelle d'Entremont, Audrey Wilson (née Roche). 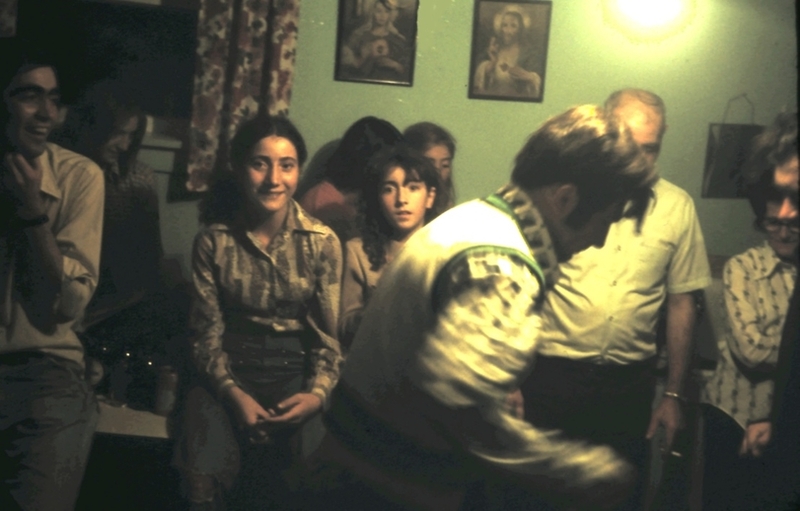 Two children watch a dance in the Roche household in Branch. 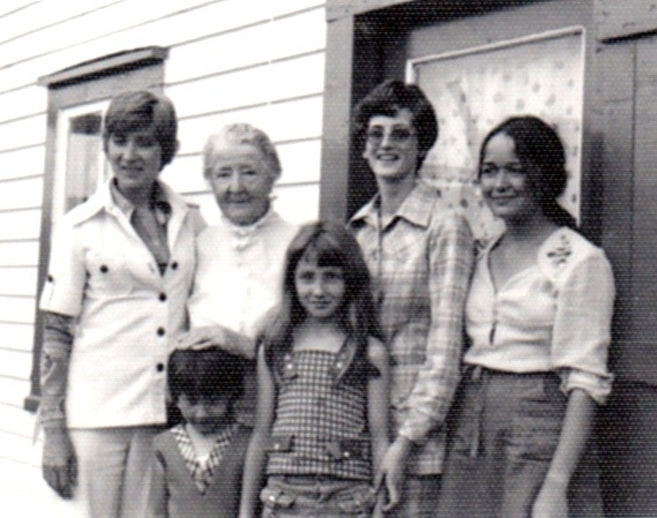 Left to right: Paula Manore (née Roche), Mary Jean Lyth (née Roche, daughters of Dermot Roche), unidentified woman, Lucy Nash (née Connors). 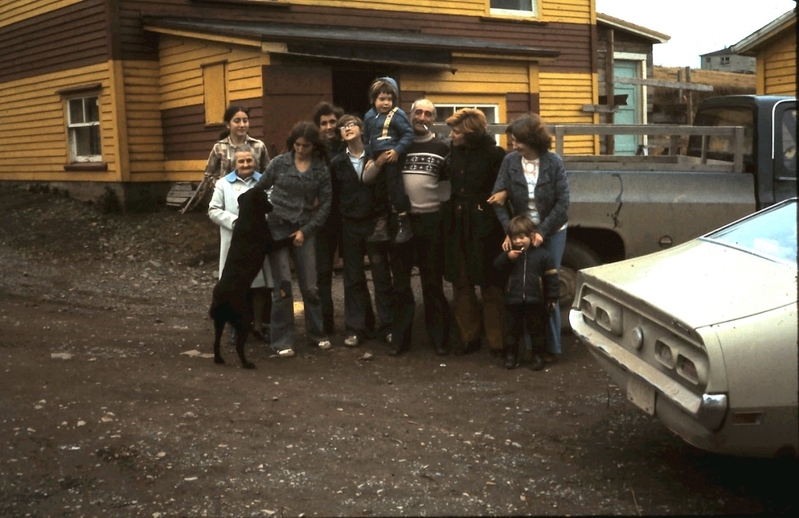 Caroline Brennan and her family standing outside her house in Ship Cove with visitors. Left to right: Joyce O'Hara, Caroline Brennan, Lucy Nash (née Connors), Virginia Ryan (née Preston). 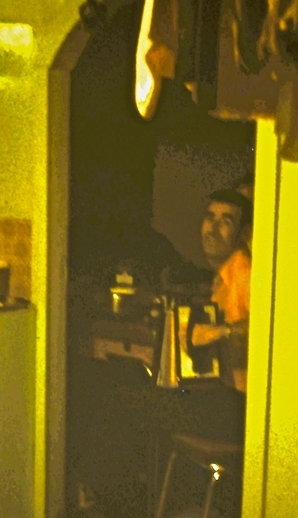 Gerald Campbell playing the accordion in the Roche's house. A portrait of members of the Roche and O'Hara families in Branch. From left to right: Paula (Roche) Manore ; Hannah ('Hannie') Dunphy (Dermot Roche's step aunt) ; Rover (dog) ; Karen (Roche) Sarro ; Vince Roche ; Raphael Roche ; Brian Ó hEadhra ; Dermot Roche ; Joyce O'Hara ; Rita Roche ; Conor O'Hara. The green Ford Comet at the front of the photo is the car that Aidan O'Hara used for his trips to the Cape Shore.